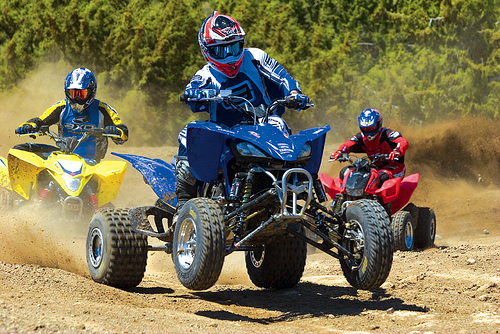 ATVs, DIRT BIKES, GO-KARTS ... SALES, REPAIRS, PARTS ... - BEST PRICES GUARANTEED! HUGE SALE on 110cc, 125cc, 150cc, 250cc ATVs; 90cc, 110cc Dirt Bikes; 125cc, 150cc GO-KARTS, 50cc, 150cc SCOOTERS and more. . .
WE ARE THE ONLY ONES IN OUR AREA OF BUSINESS THAT REPAIR, SERVICE AND MAINTAIN ALL MADE IN CHINA GAS OPERATED BIKES (ATVs, DIRT BIKES, GO-KARTS, MOPEDS, POCKET BIKES…)! ALSO, WE SELL ONLY THE BEST QUALITY CHINESE BIKES! WE CHOOSE ONLY THE BEST MODELS FROM DIFFERENT CHINESE MANUFACTURERS AND BRING THEM TO THE AMERICAN MARKET! WE HAVE EVERY SINGLE PART FOR THE MODELS WE SELL, IN STOCK! ALL PARTS ARE AVAILABLE THE SAME DAY YOU MIGHT NEED THEM! IF YOU PURCHASE YOUR BIKE FROM US, YOU WILL NEVER EXPERIENCE A HEADACHE. WE WILL FIX, SERVICE AND MAINTAIN IT FOR YOU! ALSO, YOU COULD ALWAYS TRADE IT IN WITH US, IF YOU WISH TO SUBSTITUTE IT WITH A MORE ADVANCED MODEL LATER ON! FOR BUYERS WHO CANNOT COME TO OUR STORE FOR SERVICE, WE OFFER FULL ASSISTANCE OVER THE PHONE AND ON THE INTERNET. WHO ELSE CAN OFFER YOU ALL THIS IN ONE PLACE? SO, DEAR BUYER, HURRY UP AND ORDER ONE OF OUR BIKES!